As a public health practitioner, you have a unique skill-set to promote community health through Park Prescription programming. These programs can greatly complement your current health promotion activities and transform individual lives in one community, or impact many agencies across multiple sectors. Park Prescription programs allow you to prescribe parks and their resources to the populations that you serve in client-provider interactions. 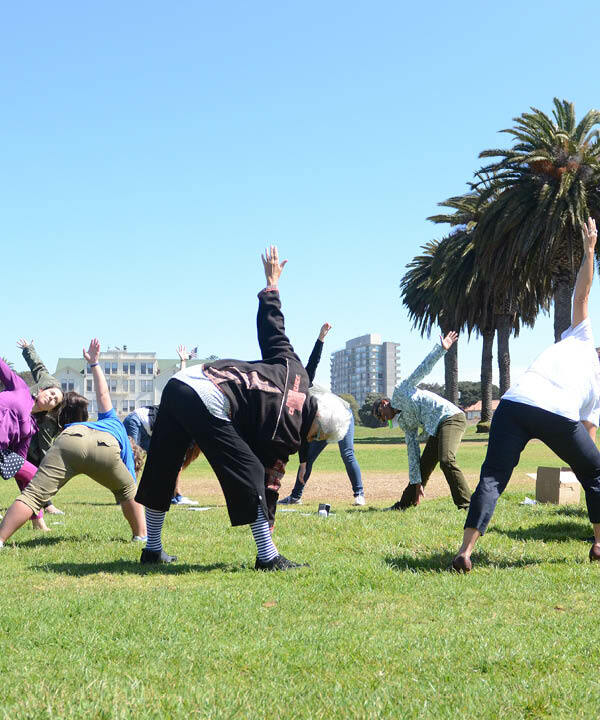 Starting a Park Prescription program presents an opportunity to make parks more welcoming, to enhance individual well-being, to improve community services, and to empower park agencies themselves to promote health. 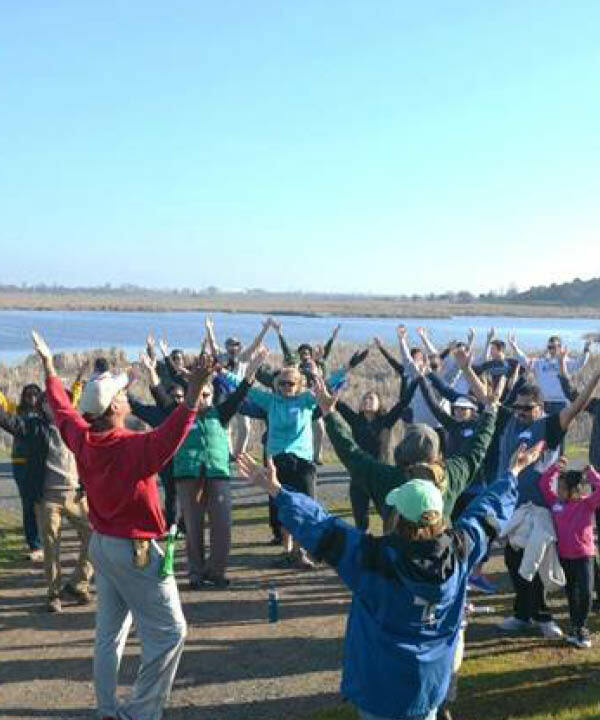 A Park Prescription program can also help launch a culture of active communities and an increased awareness and appreciation for parks and nature. Depending on the population you hope to engage with this program, you may find that reordering the steps below will work better for program development. You probably already serve a wide range of populations in your work as a public health practitioner. Sound planning involves determining which populations you want to include as the focus of your Park Prescription program. This should be based on your public health goals and your target populations’ assessed health needs, interests, and the potential for positive community impact. You might base your assessments on existing community studies made available through a funder, an organization, a government entity, or by conducting your own research. This step is critical to ensure that you are well-informed about the needs of the individuals you hope to benefit. This video provides the science and research behind the importance of nature to people and communities. You can show this resource to potential partners to bring everyone up to speed on the importance of connecting people to nature. This video provides an overview of why communities of color face more barriers to park access. You can use this video to learn about ways to break down the barriers. This survey helps you understand the interest and barriers that potential populations face in participating in your program. You can administer this survey to your target population to understand how to design your program. There are many choices in how you can frame your program. The type of program you design is determined by your population focus, your broad public health goals for that population such as obesity, and chronic disease prevention and how those goals can be accomplished through parks programming. For example, your target population may be leaders who provide direct services to individuals, such as other public health professionals, educators in an elementary school, or ministry leaders in a faith-based organization. Those leaders may benefit from train-the-trainer program model that empowers them to issue parks prescriptions to individuals. You may decide instead to target individuals and design a parks/health education program. This interview with a public health educator examines the benefits that Park Prescription programs provide in promoting physical activity. You can use this resource to learn about the motivation for public health educators to create similar programs. 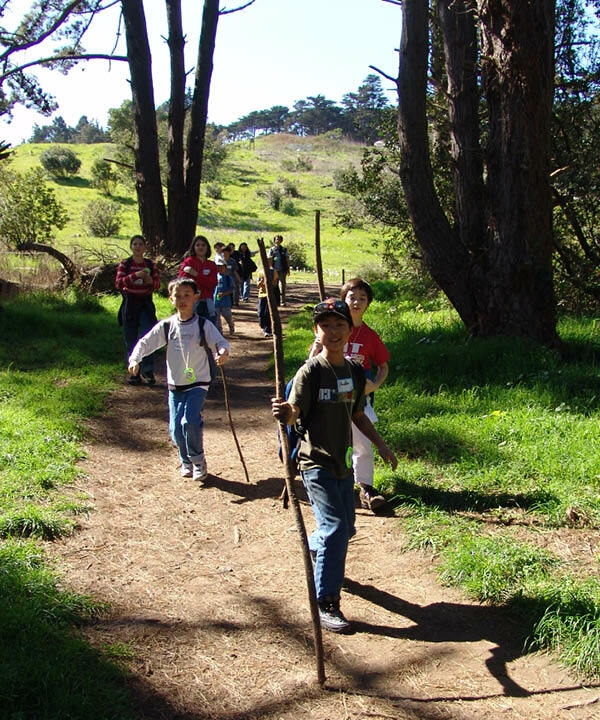 Park Prescriptions programs are created on solid partnerships and community input. After you have identified the population you will serve and the type of Park Prescription program, you should identify the agency partners and community champions who can help create a multi-faceted program. It may be the case that your partners are excited about the idea of a Park Prescription program, but may not be clear on what a Park Prescription program actually entails. Bringing together your partners requires that they be trained in the nuances of a Park Prescription intervention and how it can improve health. There are many partnership opportunities for public health professionals to create effective Park Prescription programs. An important partner to bring in early to the program creation process is your local park agency. Ideally, this agency owns and maintains green space and provides recreation, either through staff or docents. Although we are using the term "park," we encourage you to seek any willing agency that provides these resources, whether they are an open space preserve, land trust (with publicly accessible lands), or other public lands entities. Having a park agency as a partner provides your program with expertise in what parks have to offer and brings in parks as community service providers and public health promoters. Additionally, partnering with collaborations such as the Bay Area Nutrition and Physical Activity Collaborative (BANPAC) and non-profit affinity groups (those that have similar goals, concerns, and interests) can help you create programming that reflects a diversity of sectors. If your program goal is to expose certain individuals to nature and activities in open spaces, parks would be the logical partner. If you want the community to learn about the relationship between parks and the role of nature in chronic disease prevention, you might partner with a CNAP partner, parks, and other public health professionals. If you would like to create a curriculum about nature and health, you might partner with a school and a park entity. If you want to monitor health vitals to determine if exposure or activity in nature yields positive health results, you might partner with a clinician and a park entity. This powerpoint is complete with a literature review on the health benefits of nature, Park Prescription program case studies, and talking points. You can use this slide deck when meeting with potential partner agencies. This facilitator's agenda provides a suggested flow and questions for a meeting with potential partners. You can use this agenda during a first meeting with potential partner agencies. 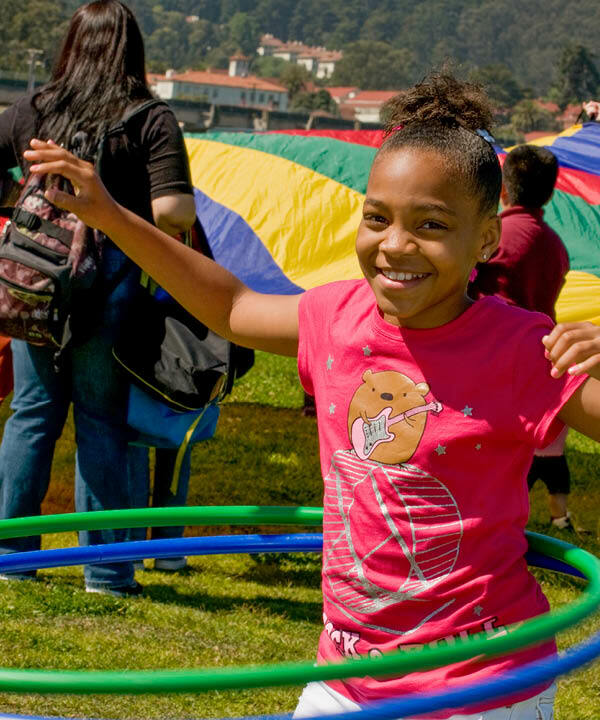 This webinar provides examples of how Park Prescription programs have been built through partnerships. You can view this to understand different roles of partners. This report provides best practices and important lessons learned in working within collective impact collaboratives. You can use this to find examples of how partners have overcome challenges with collaboration. This survey helps you gauge potential partner interest in a Park Prescription program and its health goals. You can administer this survey to your potential partners in a meeting. Look at the barriers that your participants have outlined and work with your partners to identify solutions to overcome them. Solutions will include a combination of education and encouragement strategies. Education can be used to emphasize the specific benefits of parks on individual health for those who do not believe that fulfilling of park prescriptions will benefit them. Encouragement can be used to emphasize the welcoming tendencies and terrain of parks to those with different abilities. Safety should be the first consideration for any type of Park Prescription program. If there are no parks perceived as safe by your population in your surroundings, work with your park agency partner to either identify other potential sites or mitigate the existing safety concerns. Identify the roles of your partners in the Park Prescription program. Who will prescribe parks to your population? Who will provide education to encourage them to fill their prescription? Who will lead activities when they are in the park? Who is tracking metrics? Because this is a community-built program with many different partners, it is important to ensure constant communication between partners so that the population being prescribed feels that it is a cohesive program. Some partners are naturally positioned to have specific roles within a Park Prescription program; E.g. park agencies are able to lead group activities in parks and public health practitioners are able to provide health education. To carry out these roles well, it might be necessary to train and empower you and your partners to overcome challenges that might arise. The challenges that you and your partners might face may be that the participant is not able to make time to fill their prescription or does not see the value in this new approach. The challenges could also be that the participant feels uncomfortable in group settings or does know where the park is. Each participant will have their own set of interest and barriers, but general training can provide you and your partners valuable strategies to talk through many of them. Articulate the goals and priorities of your Park Prescriptions programs. It is likely that your partners and you will generate a long list of goals that you all want for this program: chronic disease prevention, physical activity education, park usage, education, affinity for parks, etc. However, it is important to prioritize a list to ensure that you are designing a program with tangible goals in mind. Are there some goals that are more critical to address than others? Are there three "quick wins" that can generate additional enthusiasm early in the program? Once you and your partners have settled on the goals of the program, integrate the metrics collection into the workflow. If one of the goals is to increase physical activity for participants, who will be making sure that this goal is met? How will they make sure that this goal is met? It is possible to spread the metrics collection tasks among a few different partners at different stages of the intervention? Find the resources to implement the program. In this case, resources refer to funding and staff time. Will volunteers, staff, and others need to be trained to implement the program? Ideally, your partners will be able to provide in-kind donations of staff time to fulfill their roles within the Park Prescription program, such as leading park activities. As with any program, finding funding is an uphill battle, but not all programs need an injection of funding to start. List out the types of materials that you would need to use funding for and ask your partners if they know how to get them through in-kind support. Is there a plan for communicating important program information to participants, staff, partners, etc.? How will the program be marketed? How will results be shared and which whom? This worksheet is designed to facilitate the creation of your Park Prescription program. You can use this worksheet with your partners to identify program logistics. These role-playing case studies can be used during to train your team understand how to incorporate park prescriptions into routine care visits. You can use these worksheets in small groups with your program team to identify barriers. This recording shows how public health practitioners answered the case study worksheets. You can use this video to hear about ideas that others have to overcome specific challenges of prescribing parks. This resource provides an overview of how a desired outcome is expected to occur in a Park Prescription program. You can modify this resource as you and your partners define your Park Prescription program's roles and responsibilities. This video has three Park Prescription program representatives giving an overview of their programs. You can use this to learn about the variations in Park Prescription programs and choose one that suits your needs. This video is led by certified personal fitness trainers and provides an overview on easy ways to encourage participants to do physical activity. You can use this to begin training staff who might not be comfortable leading physical activity programs. After you and your partners have planned the Park Prescription program, it's time to implement it. Even the most extensive program planning can not account for all of the challenges that can arise. There are, however, ways to design your program so that you can actively incorporate the new information that you collect. Most Park Prescription programs share a goal of normalizing the use of park visits to improve human health. However, members of your target population may not be inclined to believe or partake in the program because they do not regularly visit parks in the first place. This may be especially true if your target population is a group of clients or residents who experience barriers to park access. In addition to designing your program to overcome some of the barriers, it is also important to provide as much information about the program to the population that you are serving. Provide flyers, brochures, and other take-home materials to the population you are serving so that they have another reminder and source of information. As you and your partners accumulate more information about the challenges of the Park Prescription program, repeat step 4 to update your program logistics and flow. A public health program is constantly adapting to provide better service to its populations and Park Prescription programs are no different. Hang this poster on your clinic or office walls to promote your program. Throughout the planning process, you and your partners should consider how you can use your goals (articulated in Step 4) to determine the impacts and how to evaluate them. The evaluation that you are collecting can provide information about individual outcomes and also provide information about overall health improvement that this program provided. This video provides examples of Park Prescription program implementation, evaluation, outreach, and sustainability. You can use this to learn about different ways to evaluate your program.